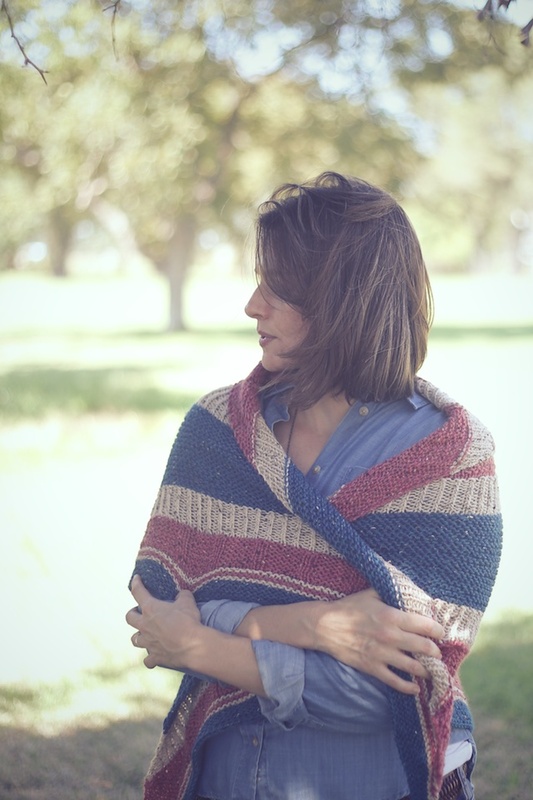 This is the shawl I want to wrap around me when I sit by a fire on the patio this winter. It will go with me anytime I camp in the mountains. It's Bradway by Shannon Cook. 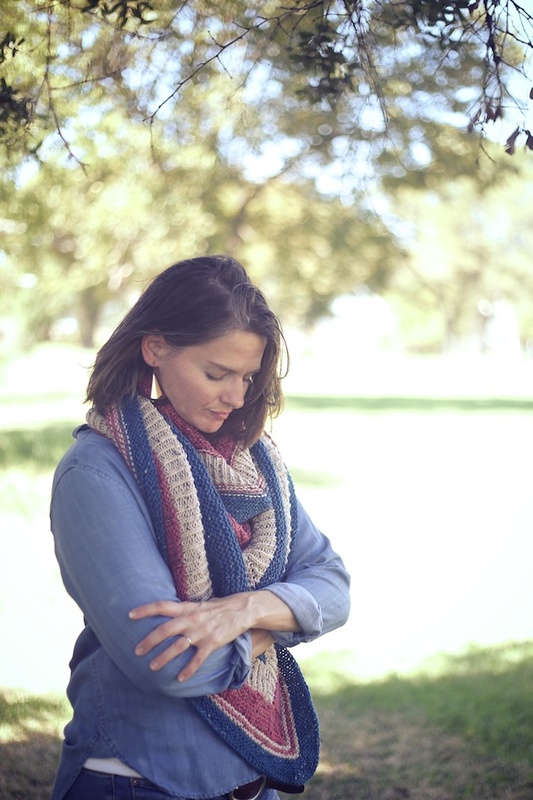 You know Shannon and how I'm always talking about her knit-alongs, her patterns, and her books. 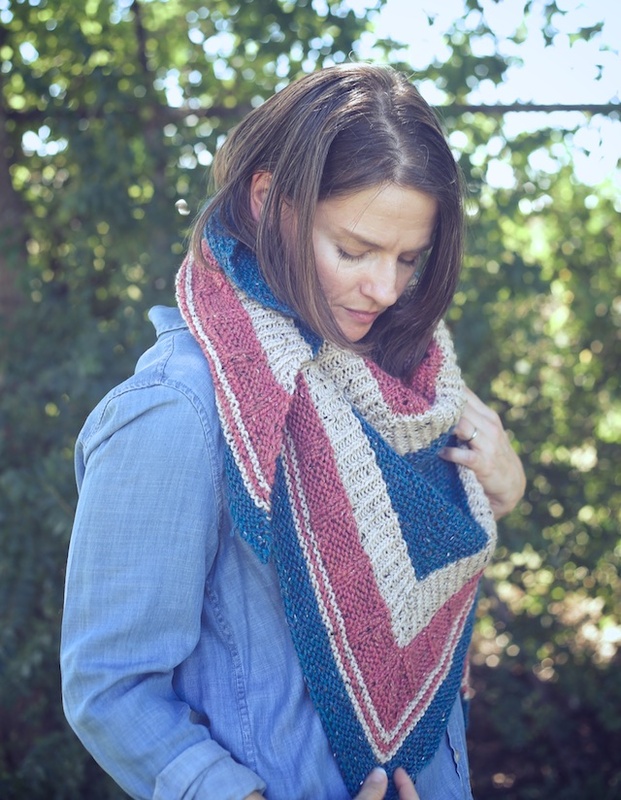 Bradway is the kind of pattern even non-shawl knitters would want to knit. There's all of these great stripes of texture, which appeals to my stripe fixation. Then there's the endless possibilities for color combos. 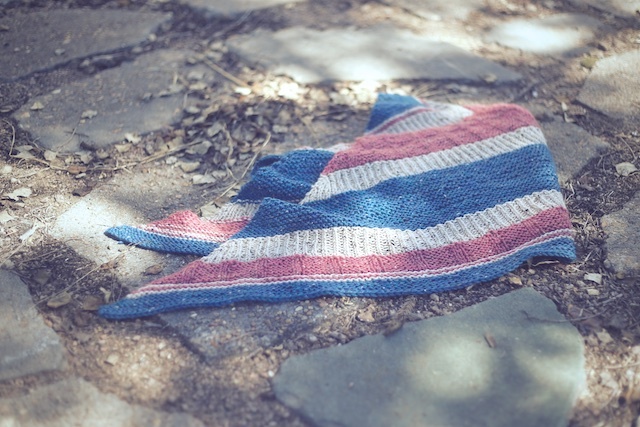 Let's not forget the fact that this is a worsted weight shawl, which means you can finish it over a weekend if you want. 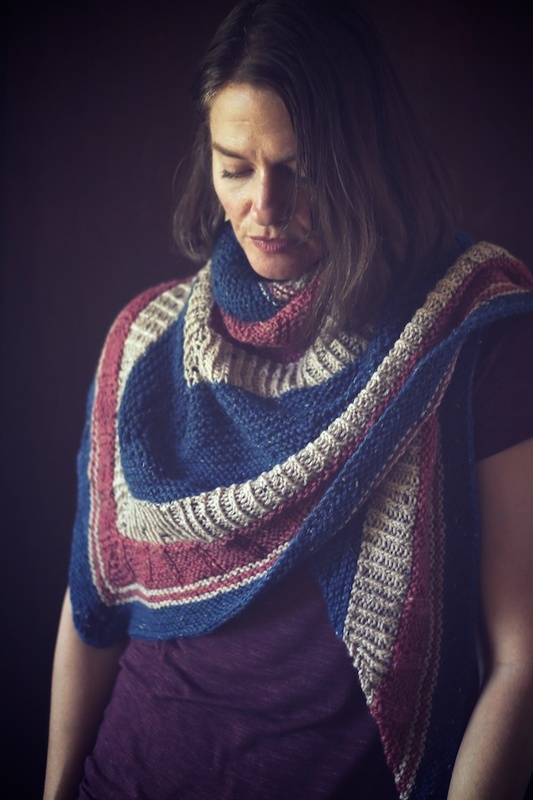 If that still doesn't tempt the knitter who turns their nose up at shawls, of which I used to be one, there's the practicality of an oversized, heavy shawl. It is fireside fashion. I can't think of how many times I would've loved to have this around me when camping, rather than a big blanket that accidentally catches fire. (That wasn't me.) Then there's always the freezing movie theatre and restaurants. This was originally going to be my only knit for the Big Cozy KAL with The Fawn Knits , but I finished so fast it seemed a shame to stop there. 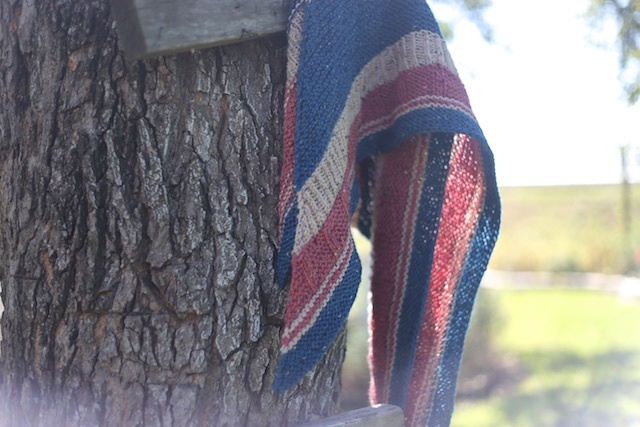 So I cast on a Campside Shawl that I've only knit a bit on. Check out all of the shawls finished so far in the KAL. I knit this with size US 5 needles and 7 skeins of Wool of the Andes Tweed, but I think I had one skein left over. I adore WotA and all of it's variations. 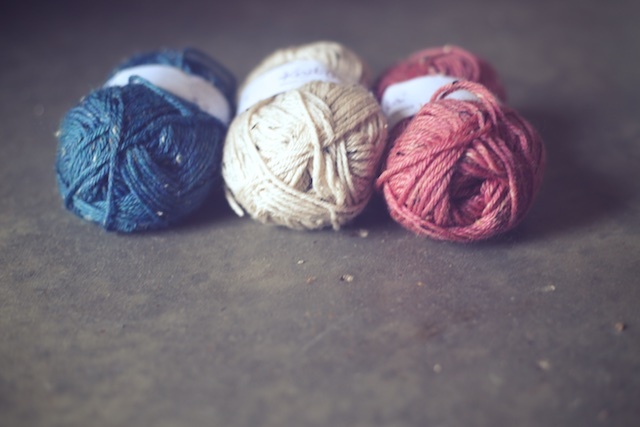 It is the perfect everyday, budget friendly yarn. I have no complaints about how it wears. Who would've thought I 'd like pink in anything? But after getting color inspiration from Pinterest, I had to try it. I'm so glad I did. These colors just seem right together. Ah, I wonder how much of my knitting is really about exposure to lovely color than the function of the thing. I'm not entirely happy with these photos. As has been the case lately, I am pushed for time and cornering my daughter to take photos when she's over for a visit. That's usually at high noon when light is so harsh. If she says she can, it's a race to find something that looks semi-decent with the knit. Remember, it's not winter here so this is like playing dress-up. Somehow I didn't think my Bradway would look best paired with an oversized t-shirt advertising the local credit union and my running shorts. I'm also loath to put on knits when it's so crazy hot outside. I actually edited out mosquitos that were on my face. Seriously. But, at least I have photos of it! 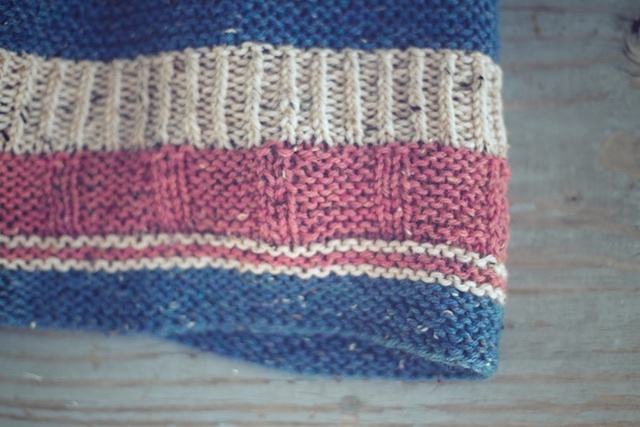 When my Campside is finished I'll be focusing on sweaters for a while, just in time for our first cold front.